ELECTRICAL FAULT FINDING Plymouth, Tripped circuits or blown fuses can occur at any time, leaving you without lights or power. Our qualified and highly trained Plymouth electrical fault finding team can be with you at short notice to trace and repair these faults. Our highly skilled electricians have many years’ experience of electrical fault finding across many sectors. 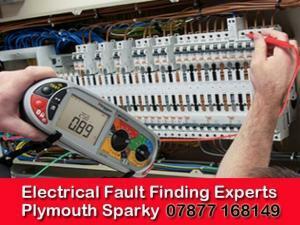 Most types of electrical fault such as fuse board problems, nuisance tripping, blown fuses, tripped RCDs, lighting and power faults can be rectified and repaired on the same visit by our Plymouth Sparky electrical fault finding Plymouth your go-to electrician and fault finding experts. An initial inspection of fittings and fixtures will be carried out to check for loose connections signs of burning or dampness. If no obvious faults are detected we will proceed to carrying out an in-depth electrical fault finding test using calibrated electrical fault finding test equipment. On completion of these tests, if remedial work is required to reinstate power or rectify the fault at hand, then a full quotation will be issued before commencement of any further work. 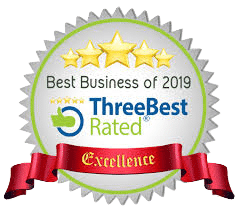 If you suspect an electrical fault at home or at work then call us free now on 07877168149 and we will send one of our expert Plymouth electrical fault finding team to you right away.